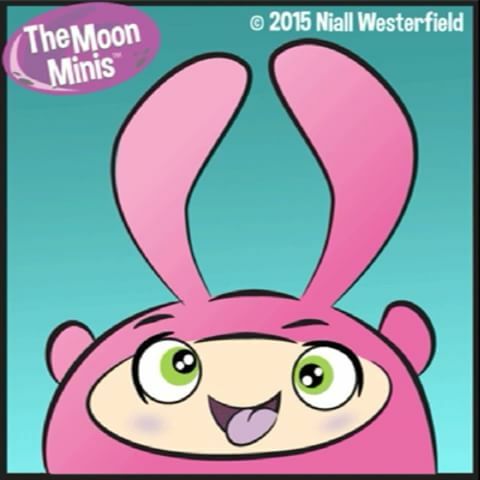 Not new so much, but we just came across it: The Moon Minis is a series of full-color books for children written and illustrated by Niall Westerfield. The story is based on the folklore (common to many cultures, especially in Asia) that the dark spots on the moon represent a rabbit making and baking moon cakes for the Moon Princess to allow her to live forever. Well here we find an entire community of little rabbits, The Moon Minis, and they have many comical adventures while they go about their baking duties. All of the books (and a collection of short comic strips) are available at the Moon Minis web site.